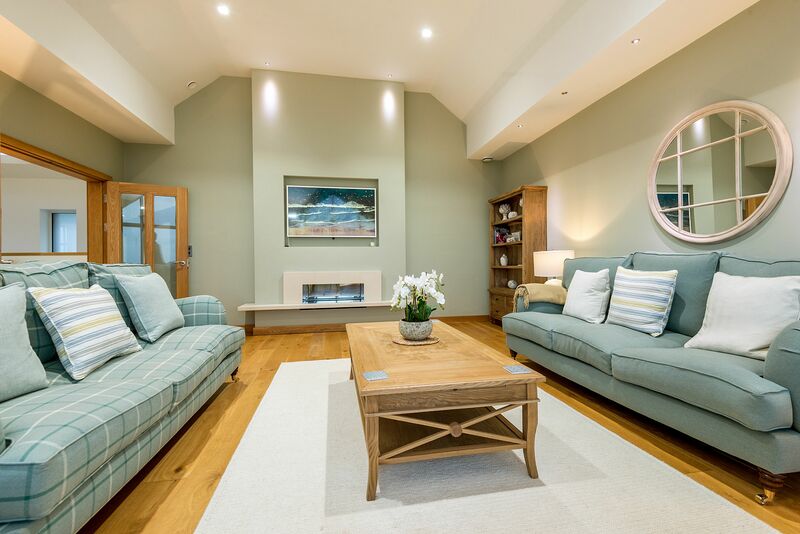 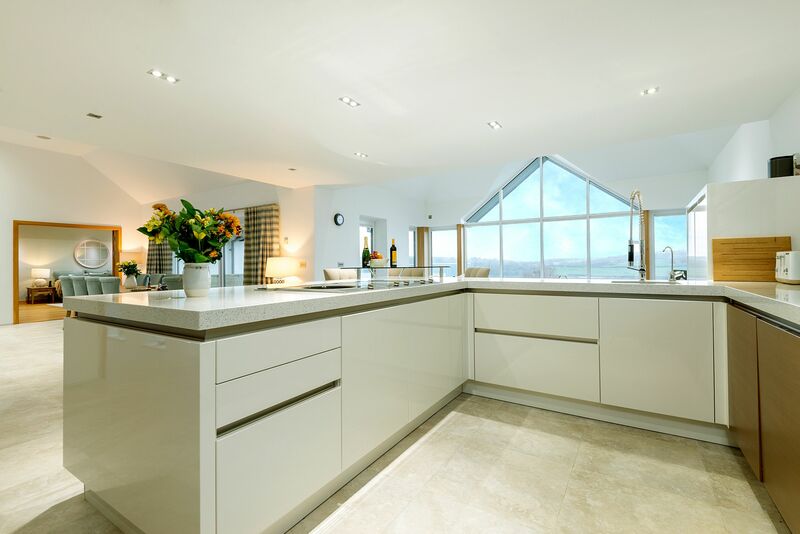 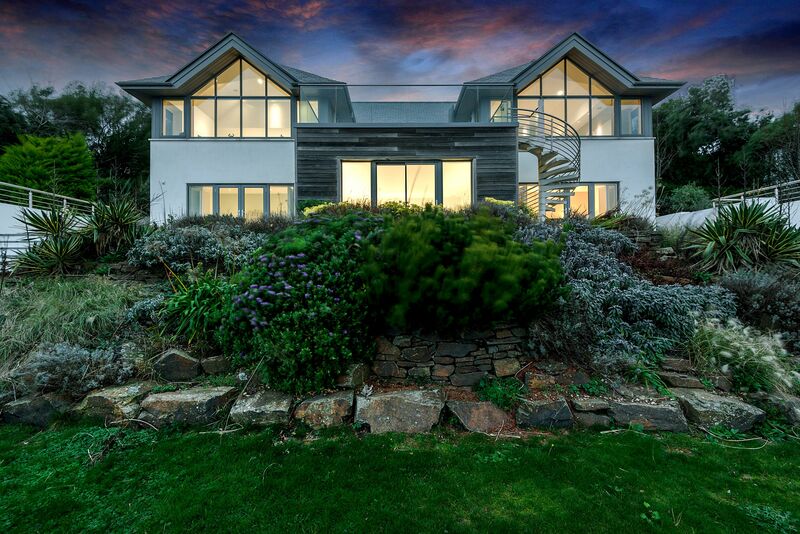 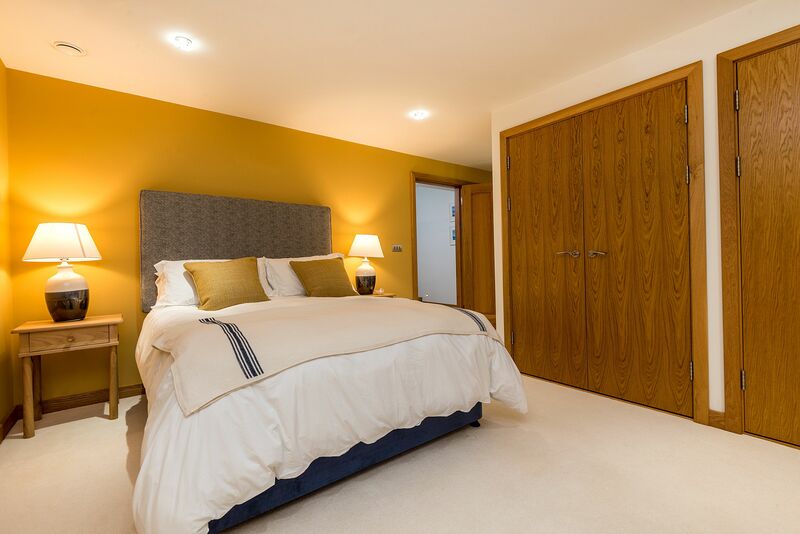 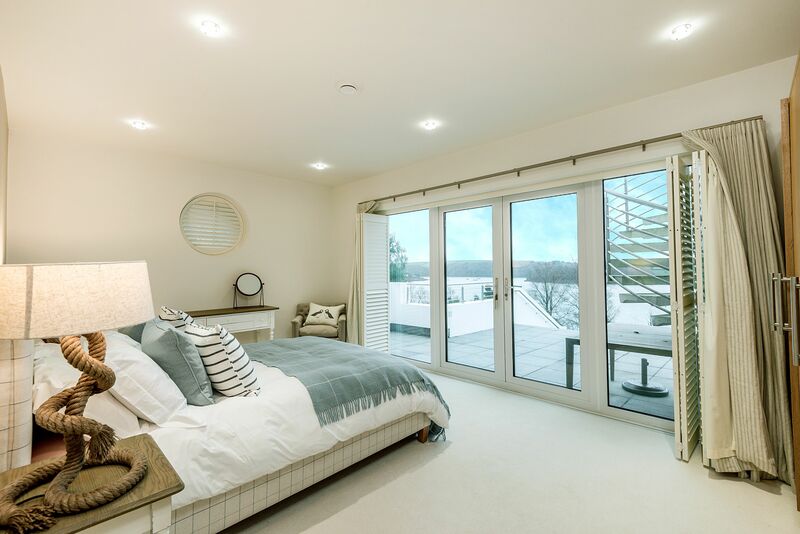 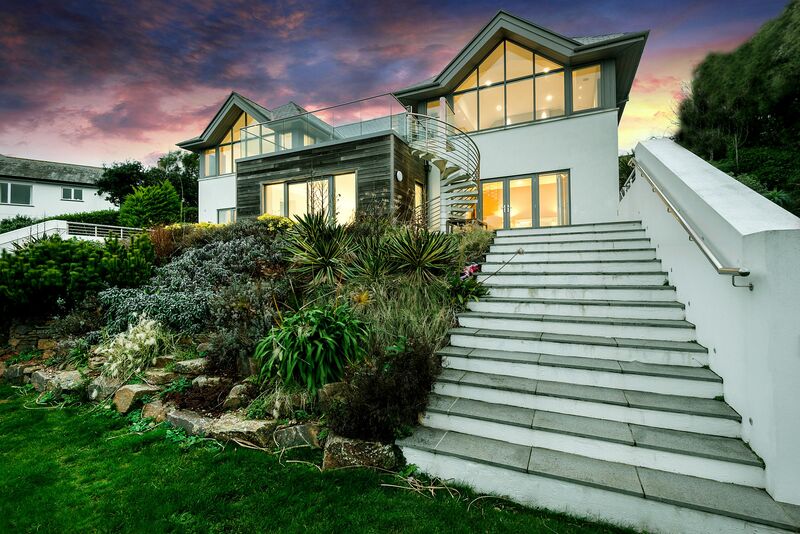 Merry Mead is a stunning contemporary house set in half an acre of landscaped gardens. 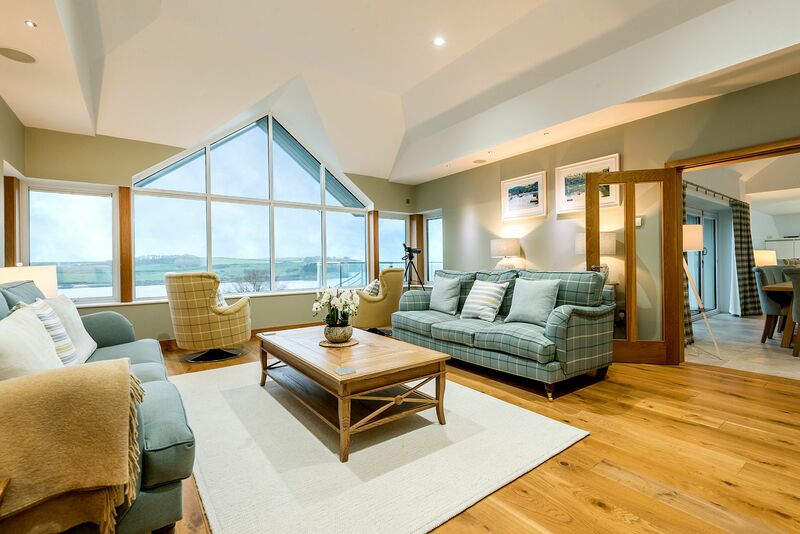 Merry Mead’s position provides the perfect vantage point from which to admire the dramatic seas and panoramic landscapes. 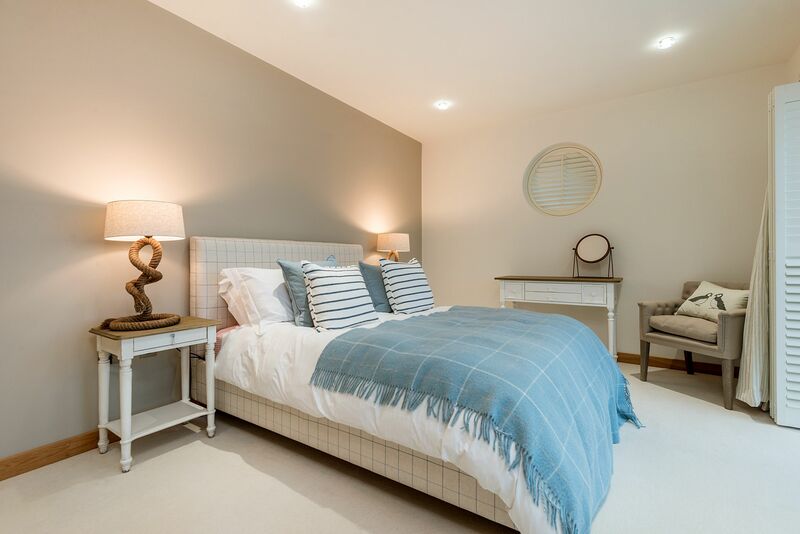 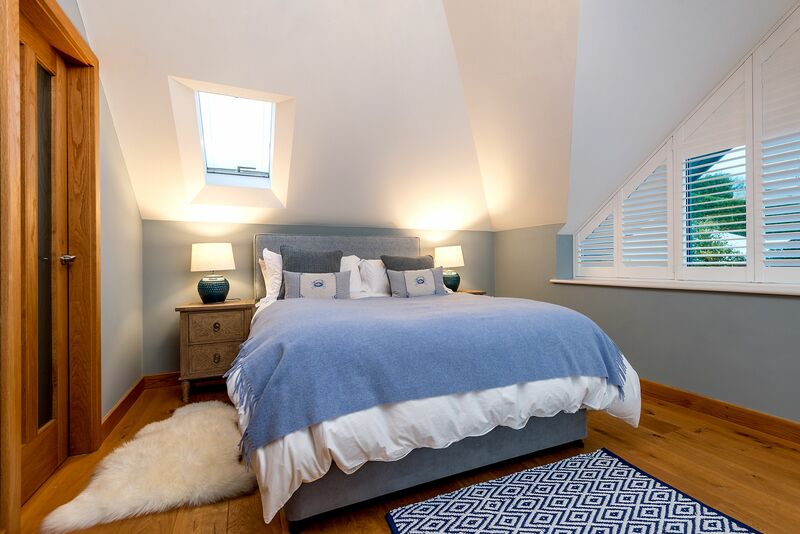 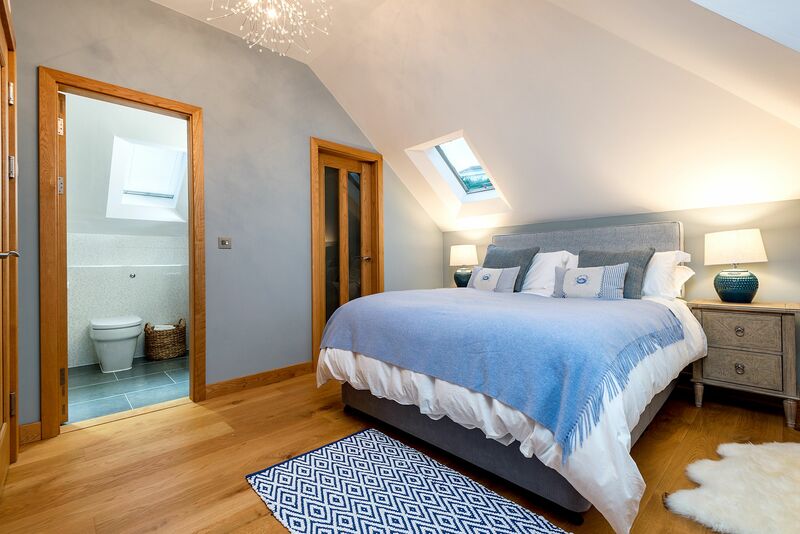 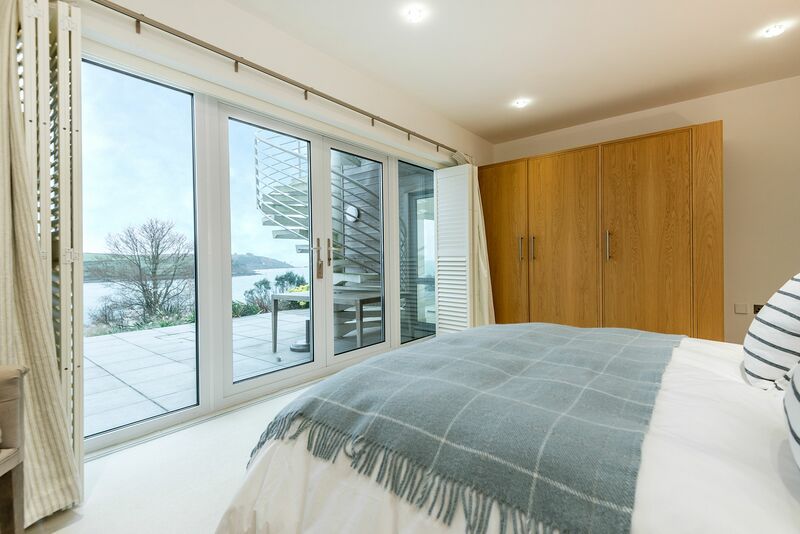 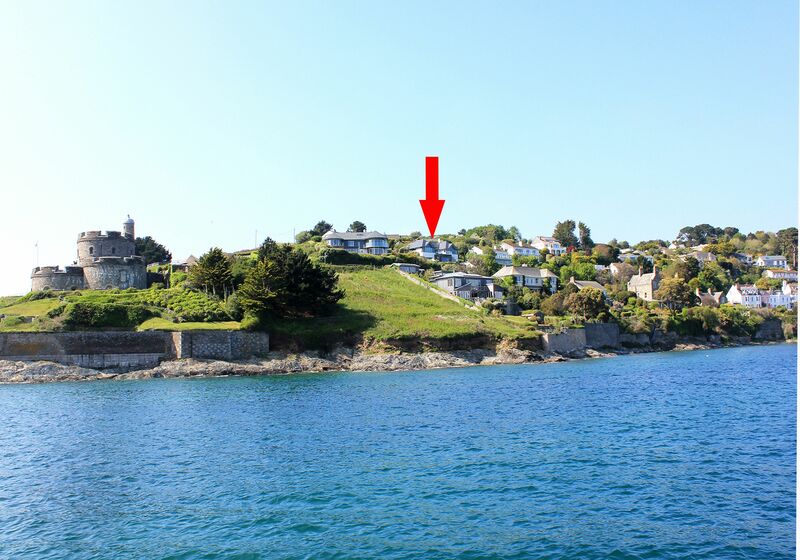 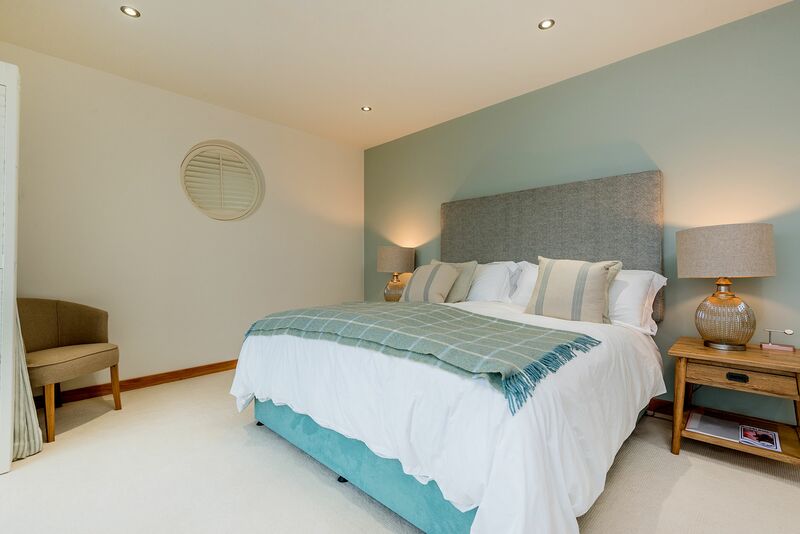 If you can bear to drag yourself away from this beautiful retreat you are ideally located to pop down to the village of St Mawes and to explore the Roseland. 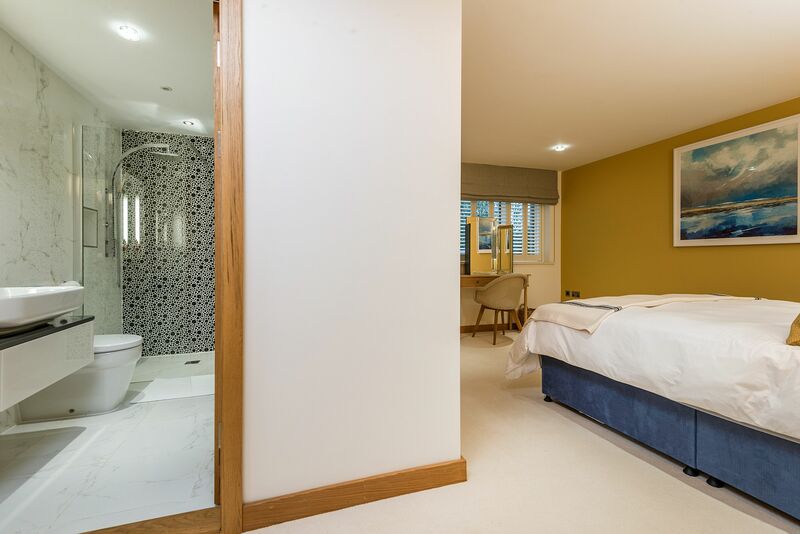 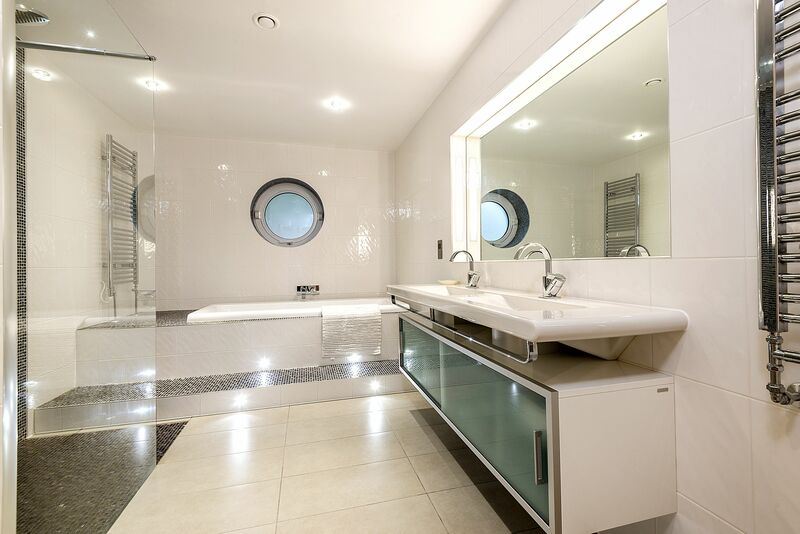 This well-planned accommodation has four spacious bedroom suites and an indoor swimming pool. 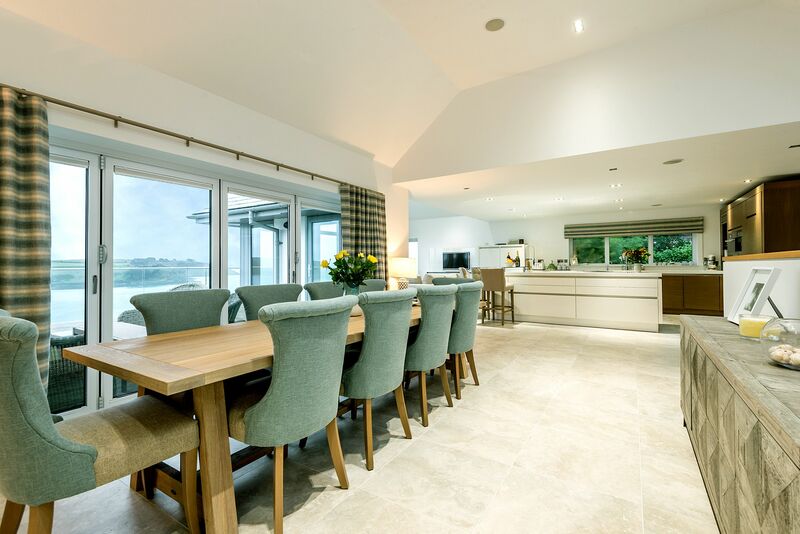 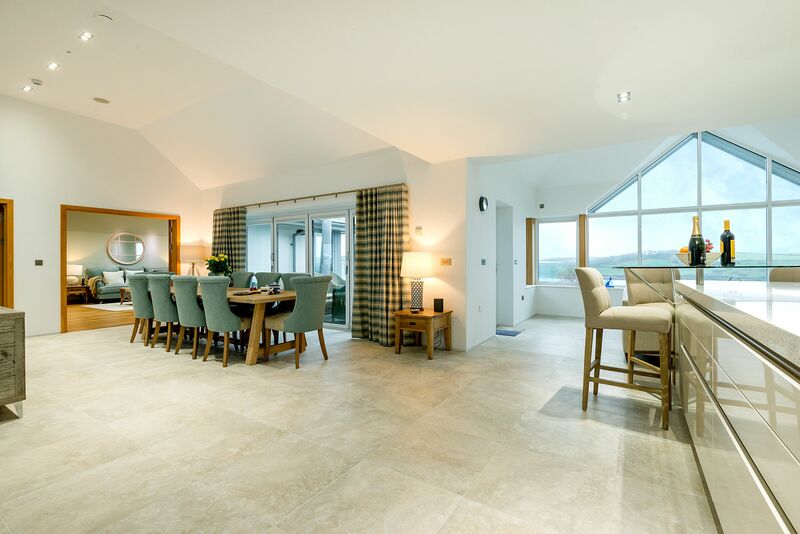 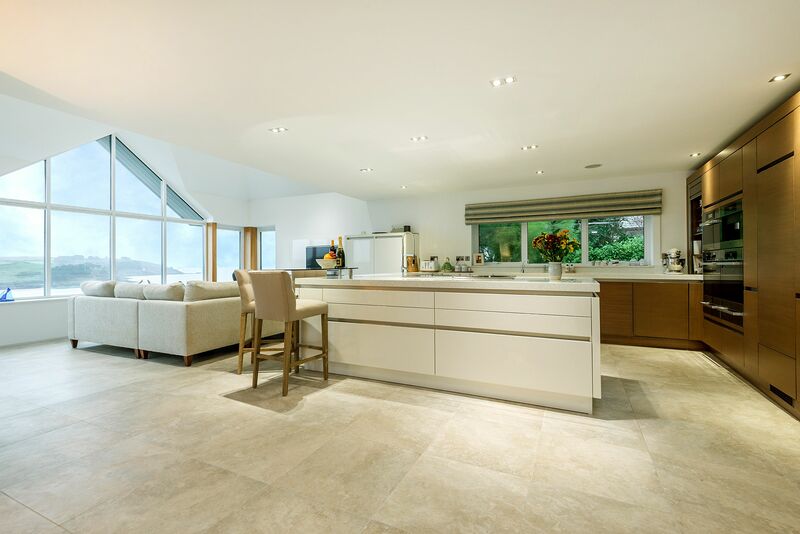 Open-plan living and kitchen area are perfect for gatherings and afford stunning sea views from the dining room and seating area, both of which open onto a balcony area. 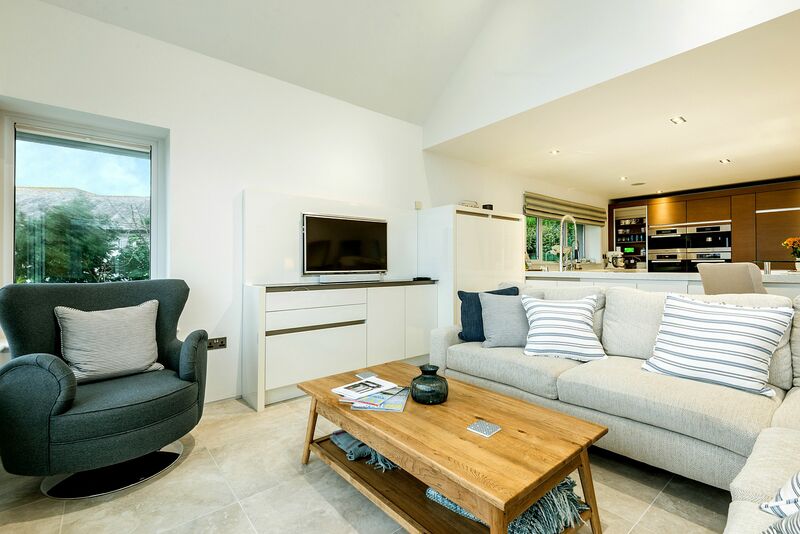 On this level there is also a discrete lounge area featuring a TV, wall fire, and once again you are able to enjoy the stunning views. 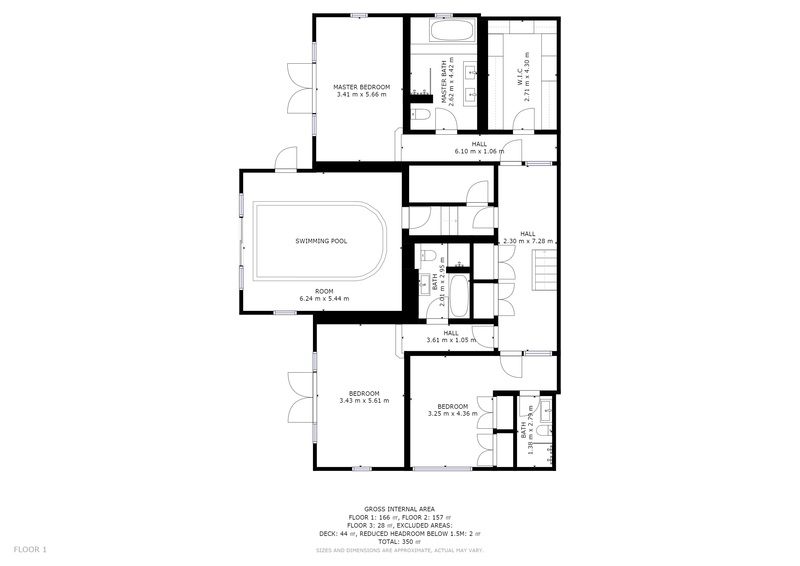 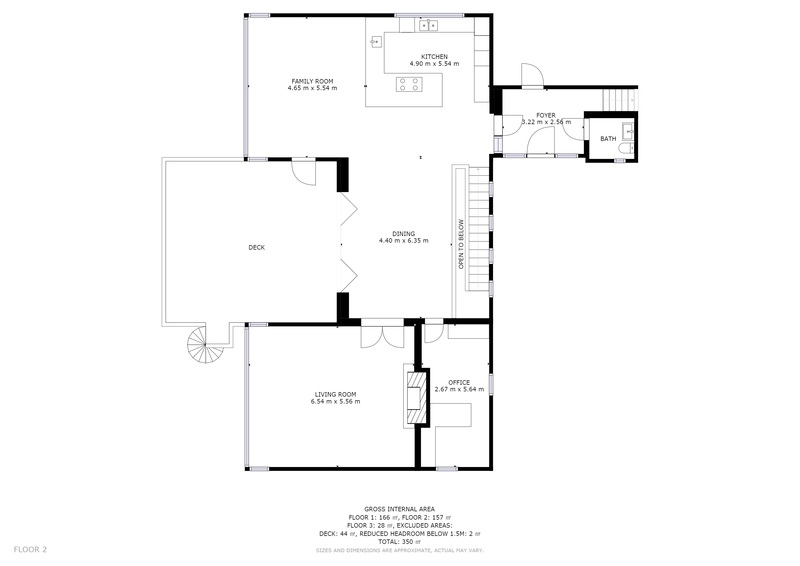 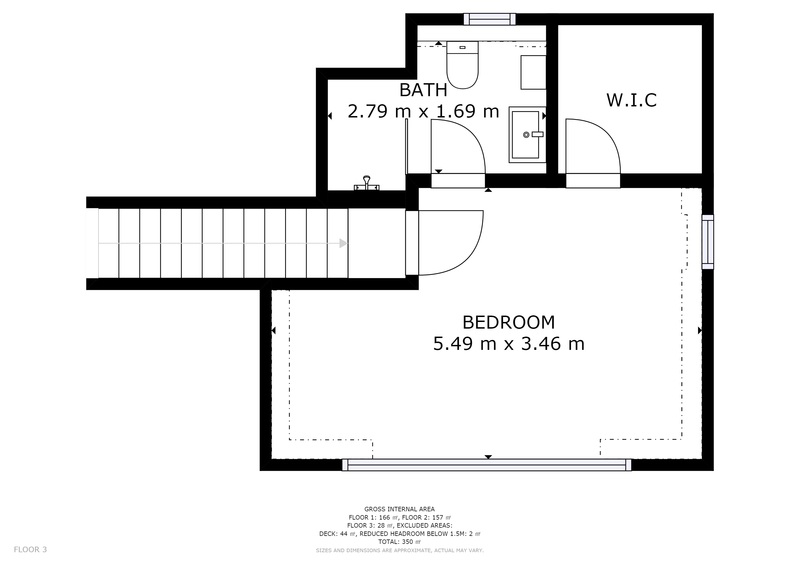 This floor also benefits from stairs leading to the fourth bedroom suite, a utility area and a toilet. 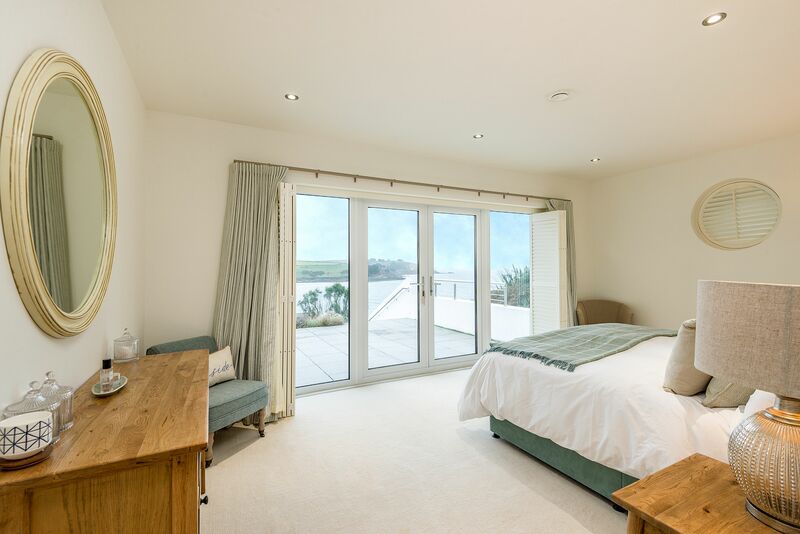 Three of the four bedroom suites (two are sea facing) are located on the floor below, separated by the indoor pool. 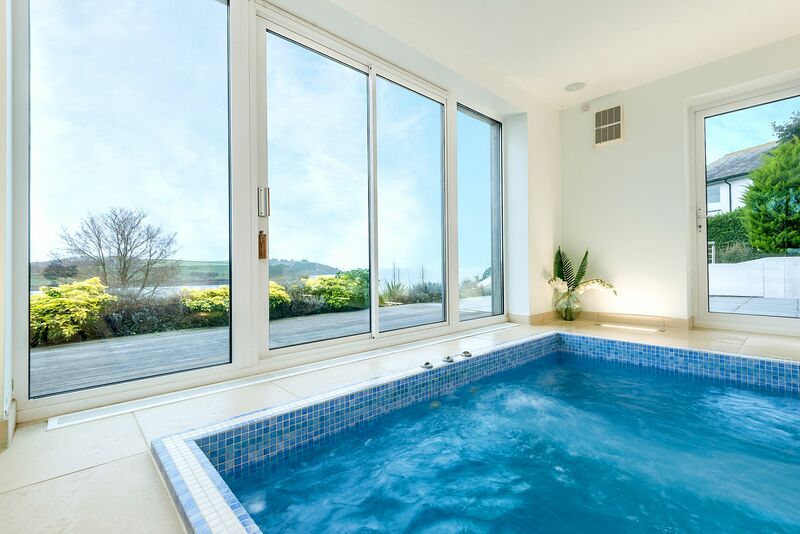 The pool features a curved Jacuzzi area to one end and a jet stream to the other for resistance swimming. 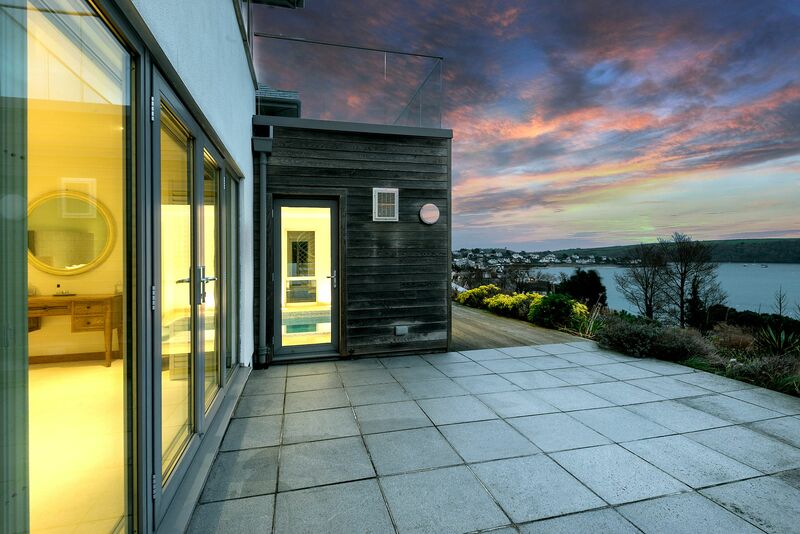 From the pool and the two front facing bedrooms you have access to the garden and sea views. 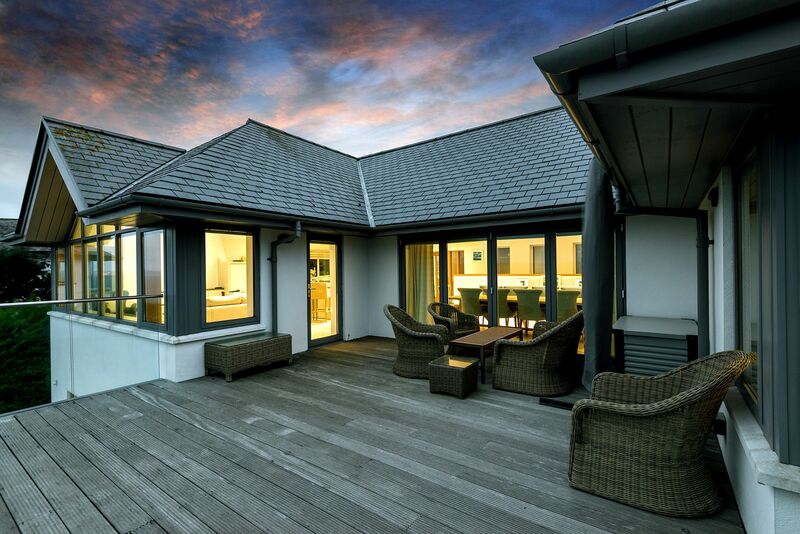 There are two terraces with garden furniture to enjoy al fresco dining or watch the sun go down.